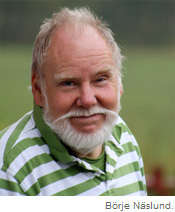 Börje Näslund was born in mid-Sweden 1943. As a kid in the countryside, he grew a big interest in nature. Fourteen years old he left his parents and made his own living, working six days a week. In his younger days, he spent seven years in other countries and worked himself on land around the globe. He tried out many different kinds of jobs in varying cultures and gained experience and collected ideas from different ways of living in the Middle East, Europe, Africa, South America, South Pacific, Australia, New Zeeland and Asia. From India, he returned to the Middle East and back to Sweden, where he used some years for theoretical studies. In many years, Börje Näslund has been creating his significant wooden figures, stone faces and tempera painting. 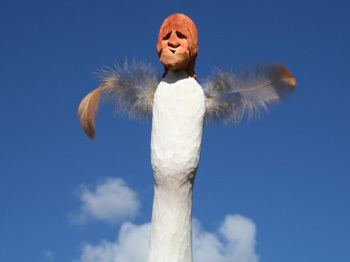 His figures have been spread to thirty different states around the world. His work is expressive and artful and well received in Sweden and abroad, and has been presented in numerous exhibitions.